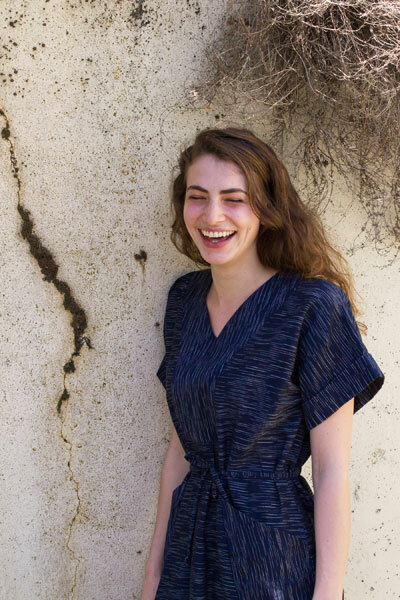 Flattering and easy to wear, the Tea House is a great pattern with a variety of options for different looks. Use a silk or rayon fabric with some drape for a vintage inspired look while a cotton yarn dyed stripe can lend a more modern feel. 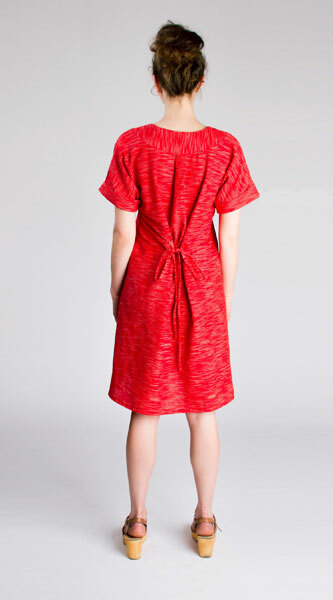 The Tea House features a V-neckline with front and back neck yokes, front seaming, in-seam angled pockets (for the dress versions), a back neck box pleat, cuffed dolman short sleeves and two different tie options. Views A, B, and C feature wide under the bust, inseam ties that can be tied behind the back or doubled around to the front. Views D, E, and F feature a spaghetti waist tie that threads through a back tunnel and can be tied in the front or for just a bit of waist definition, tied behind the back. 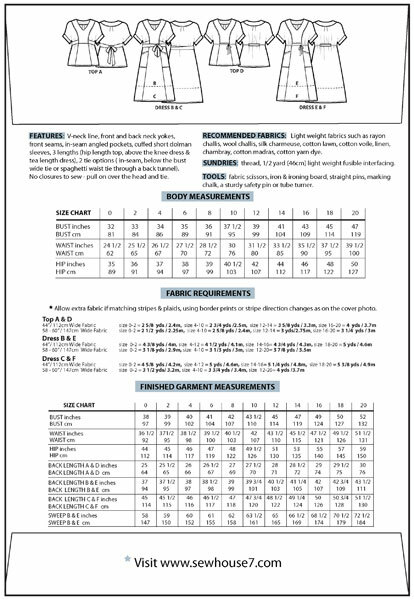 There are three different length options: views A and D are hip length tops, views B and E are above the knee length dresses, and views C and F are tea length dresses. There are no closures to sew. Just slip it on over the head and tie! Versions A, B, and C: Light-weight fabrics such as rayon challis, wool challis, silk charmeuse, cotton voile, linen. Versions D, E, and F: Light-weight fabrics such as cotton lawn, cotton voile, linen, chambray, cotton madras, cotton yarn dye. Thread, 1/2 yard (46cm) light-weight fusible interfacing. The dress is beautiful in design and very comfortable to wear. I constructed it in a merlot colored Dublin linen. So lovely. Love the way the instructions are presented - layout and directions. Well written directions and a breeze to follow. So easy to follow and read, I am considering it for Beginner students.